McDermott International, the New York listed subsea engineering contractor and Baker Hughes GE, the self-styled Full Stream oil and gas company, have been awarded subsea umbilicals, risers and flowlines (SURF) and subsea production system (SPS) equipment contracts by BP for the Greater Tortue Ahmeyim natural gas project, located offshore Mauritania and Senegal. McDermott was awarded a substantial* engineering, procurement, construction and installation (EPCI) SURF contract. “The company “plans to use its upgraded Amazon vessel, DLV 2000, North Ocean 102 (NO 102) and third-party vessels to support installation scheduled to begin in late 2020”, the company says. The Amazon modifications are scheduled to be completed before the installation campaign begins and will include a multi-joint (hex) J-Lay system to handle the most challenging ultra-deepwater projects as well as the addition of a multi-joint facility, dual pipe loading cranes and additional power generation”. McDermott also says that the pipeline and riser structures it designs will be fabricated at its yard in Batam, Indonesia. BHGE, on its own, declares that it is “demonstrating the benefits of early-engagement and collaboration – some of the key components of Subsea Connect – as well as bringing its expertise in deepwater, long-offset gas projects”. The company will provide five large-bore deepwater horizonal xmas trees (DHXTs), a 6-slot dual bore manifold, a pipeline end manifold, subsea distribution units (SDUs), three subsea isolation valves (SSIVs), diverless connections and subsea production control systems, specifically designed to enable the future integration of additional wells for the first phase of the development. These latest awards follow an initial front-end engineering and design (FEED) phase, awarded in March 2018, during which BHGE and McDermott worked together to define the technology and equipment scope for a four-well development phase. Project management and engineering teams from BP, BHGE and McDermott will remain co-located at McDermott’s London offices for this next phase. * – McDermott defines a substantial contract as between $500 million to $750 million. The contract award will be reflected in McDermott’s first quarter 2019 backlog. Angola has furiously mended fences with International Oil Companies, creating new opportunities for a return to some robust deep-water exploratory activity. But Nigeria has remained challenging for these same actors. The difference is not entirely about government policies. Geology has played a major role in making Angola a supplicant, and Nigeria, relatively aloof. Until the raft of agreements with each of four majors: ExxonMobil, TOTAL, BP and ENI in the last one year, Angola was looking at a landscape of declining activities and a huge chance of production becoming a terribly small fraction of what it once was, over the coming decade. Conversely, a long queue of deep-water projects snake around Nigeria’s Niger Delta basin, which has a thicker sedimentary fill than Angola’s Congo Basin. 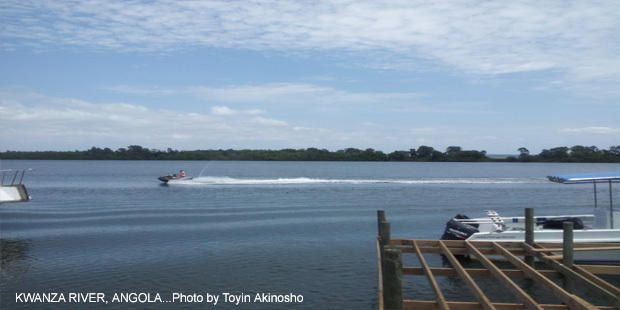 Nigerian produces from a rich diversity of terrains; onshore land, onshore swamp, shallow water and deep-water, whereas Angolan production is 98% deep-water. Nigeria hosts a diverse cast of producers; home-grown independents, the state hydrocarbon firm, a Europe based Chinese owned independent, an Indian producer, majors and super majors from Europe and America. 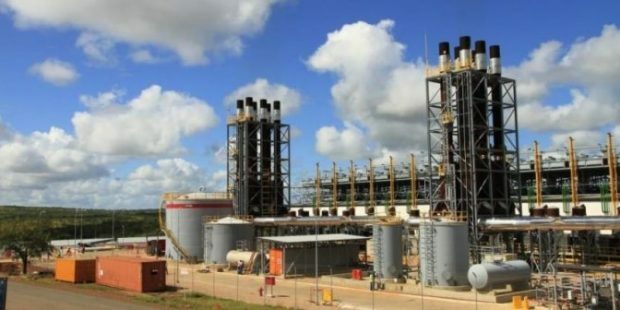 Angolan production relies almost entirely on the majors and super majors and, to a small extent, the operating subsidiary of the state hydrocarbon firm. Angola’s decline in production fortunes didn’t start with the crash in crude oil prices. Click here for the full story here. 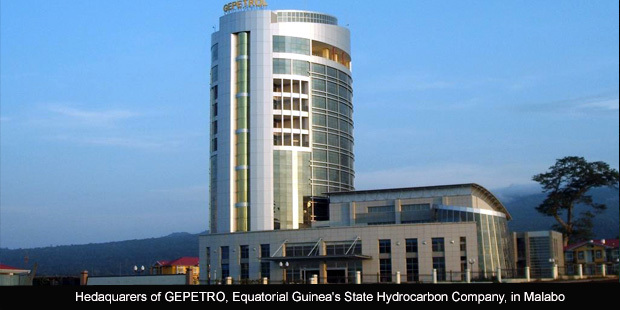 Oilfield production optimisation has proved a little more difficult than expected for Kosmos Energy in the Ceiba-Okume complex, offshore Equatorial Guinea, an asset which it purchased as operator in October 2017. Average production in 2018 came to about 44,100BOPD, a less stellar performance than the prognosis in the company’s 2017 annual report. Kosmos Energy had boasted, in that report, that it had increased production by over 3,000BOPD to 45,000BOPD in the last two months of 2017 and two months into 2018. But keeping the production uptick has proved difficult, otherwise the output should be a few thousand barrels per day north of 44,000BOPD. The American independent had purchased the fields from compatriot Hess Corp. in October 2017 and had proposed a range of solutions to boost output, including waterflood, electric submersible pump (ESP) installation and in-fill drilling. Kosmos also declared that there was a potential to double recovery factor in the two fields, “with about ~400Million barrels remaining”. 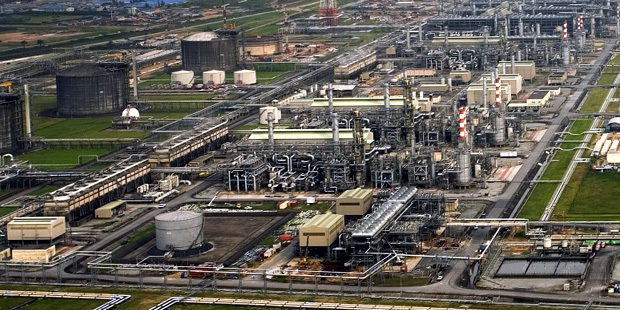 The proposed Eight Million Tonne Per Annum LNG Plant in Eastern Nigeria, otherwise known as Train 7 of the NLNG Facility, is several miles closer to financial sanction than the Bonga South West Aparo deepwater oilfield project. Barring any serious obstruction, the Tran 7 project is on course of taking Final Investment Decision by the last quarter of the year. The BSWAP, on the other hand, is unlikely to get financial sanction until second quarter 2020. Shell’s announcement for tender for BSWAP three weeks ago, prompted speculation that the FID for the long drawn project was imminent and might be achieved before the end of the year. 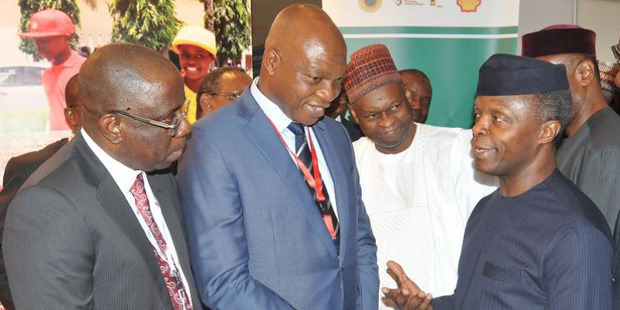 But industry insiders who have been involved in the major projects in Nigeria over the years see so many hoops that Shell and NNPC have to jump through, to reach commercial tender, which would provide the information to take the final investment decision. Over 40 companies and consortia have submitted tenders for the six bid packages (including the FPSO, PFRI, SPM, Unbilicals, Rotating Equipment and Subsea Hardware). It would take some time for sorting out through the arguments that each of these companies /consortia are making in these packages, And as this the technical bid, it is where the main work of evaluation would be, for those who are assessing the best concept for delivering the project. Conversely, the work of Train 7 is far advanced. Two consortia have been working on the FEED and are expected to deliver the FEED documents by the end of April and it is the consortium whose option is considered more optimal that would be awarded the contract to build. All other contracts to be awarded would be tied to the model suggested in the FEED by the winning consortium. It is likely that contract for construction could be awarded by early as the 3rd quarter of 2019. Political and community leaders in Turkana County, which holds Kenya’s commercially proven oil reserves, have reacted to the gazette notice of land acquisition by the country’s National Land Commission. 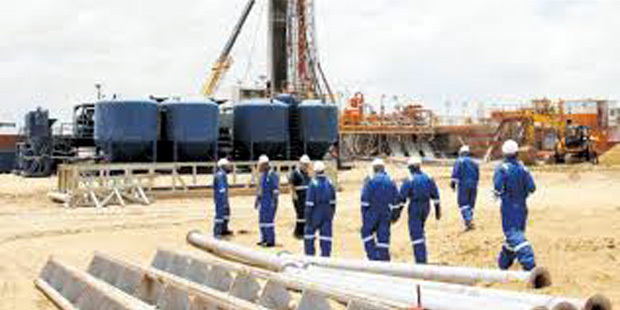 The leaders, including such parliamentary leaders as, Senator Malachy Ekal, MPs James Lomenen and Daniel Epuyo and the governor of the country, Josphat Nanok have questioned the “quick” gazettement of land in oil fields in preparation for compulsory acquisition. They say that community land issues were emotive and “ought to be handled in the right way that brings the community together to move on the same track with government plans and investors”. “There is a need to resolve the issues now before the targets of 2021 oil export plans are pushed forward. Unfortunately, these are not issues that can be overlooked,” said Mr Nanok. MODEC, the Japanese supplier of Floating Production solutions, has been awarded the front-end engineering design (FEED) contract for the SNE Field Development floating production storage and offloading (FPSO) facility, offshore Senegal. The FPSO is expected to have a capacity of around 100,000 Barrels of Oil Per Day, with first oil targeted in 2022. “Following FEED, and subject to necessary government and joint venture approvals, it is anticipated further contracts will be awarded to MODEC to supply, charter and operate the FPSO facility”, Woodside Energy says in a release. The SNE Field is located in the Rufisque, Sangomar and Sangomar Deep Blocks, which cover a combined area of 7,490km² within the Senegalese portion of the Mauritania-Senegal-Guinea Bissau (MSGB) Basin. “Securing an FPSO facility is a significant step for the joint venture and will allow the project team to complete the technical and commercial activities required to support a final investment decision, targeted for mid-2019,” says Woodside CEO Peter Coleman. The FPSO FEED contract award follows the subsea FEED scope awarded to Subsea Integration Alliance in December 2018. 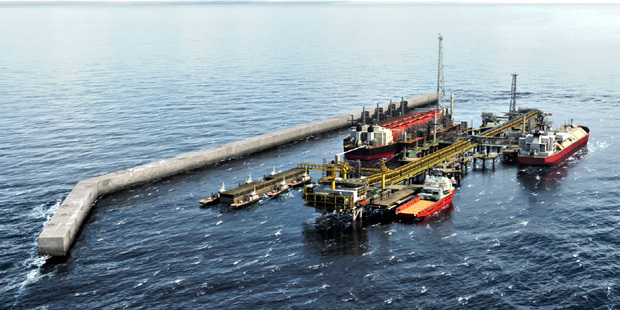 The development concept is a stand-alone FPSO facility with 23 subsea wells and supporting subsea infrastructure. The FPSO will be designed to allow for the integration of subsequent SNE development phases, including gas export to shore and future subsea tie-backs from other reservoirs and fields. Phase 1 of the development will target an estimated 230 MMbbls of oil resources (P50 gross) from 11 producing wells, 10 water injectors and two (2) gas injectors. The Kenyan government has published a gazette giving notice to land owners along the right of way of the planned crude oil export pipeline to the coast of Lamu. The action is the latest in the series of actions leading up to final sanction of a 140,000Barrels of Oil Per Day oilfield development project, expected in late 2019. 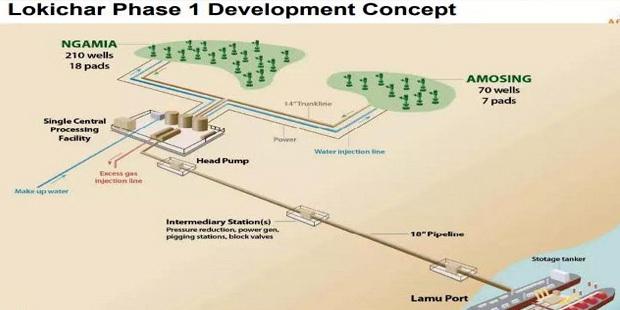 A 750km pipeline is to be constructed, starting from oilfields in the South Lokichar Basin in the Turkana Country in the north of Kenya to the port town of Lamu on the Indian Ocean. 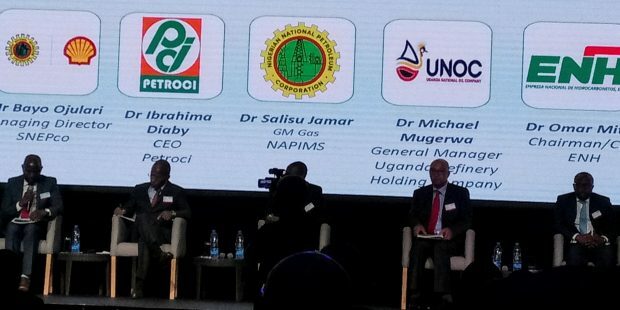 But the notice only indicated the right of way land in the upstream part of the project, i.e, the oilfields involved: Amosing, Ngamia and Twiga oil fields. It says nothing of the rest of the export route. Crude oil was discovered in commercial quantities for the first time in Kenya in April 2012, by the British oil minor Tullow Oil. The company and its co-venturers TOTAL and Africa Oil, in concert with the Kenyan Government, have contracted WorleyParsons and Wood Group, to come up with the Front End Engineering and Design (FEED) for the project. The first phase will involve 60,000 barrels a day of oil and the second phase will add 80,000BOPD. Project cost may reach $5Billion. 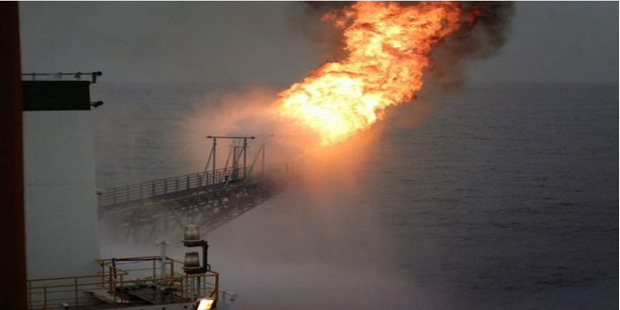 Partners in the Bonga South West Aparo field Development, in deep water off Nigeria, now have certainty that the licences of acreages hosting the fields will be renewed for a period covering the life of the project. The field straddles Oil Mining Leases (OMLs) 118, 132 and 140. That the government had not expressly given assurance on the renewal of these acreage licences, was a sticky point in the determination of release of bids for tender, leading to Final Investment Decision on the $13Billion project. With this issue cleared up with the Nigerian President Muhammadu Buhari, who is also the Minister for Petroleum Resources, the project promoters can go ahead with FEED, Technical and Commercial Bids and possibly Financial Sanction by the end of 2019. Shell and its co-venturers have now invited prospective bidders to tender for the project. “Following the Oil Mining Lease (OML) 118 Heads of Terms (HOT) agreement, we are pleased to announce the release of BSWA Invitation to Tender, where Nigerian and international companies on the agreed bid list are requested to bid for the various contract packages that make up engineering, procurement and construction of the BSWA project. This is an important step that will allow ourselves, government and investing parties to understand the cost of the project and if within expectation, take the project to a Final Investment Decision (FID)”, a statement from SNEPco, the Shell Nigeria subsidiary operating OML 118 said. Development discussions around the Bonga South West Aparo project has been on the drawing board before 2010. The field holds estimated recoverable reserves of over 650Million barrels (P1) and could deliver 150,000BOPD at peak (according to ExxonMobil ‘s 2017 annual report). If the Final Investment Decision is taken at the end of 2019 or early 2020, first oil could kick in by early 2023.